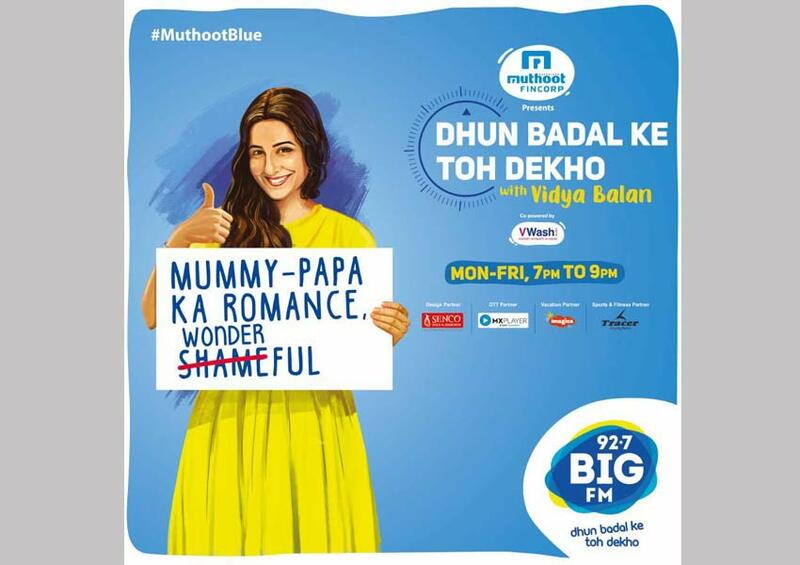 BIG FM launched the biggest audio entertainment show in the history of radio, Muthoot Blue ‘Dhun Badal Ke Toh Dekho with Vidya Balan’ presented by Muthoot Fincorp. Fueling anticipation comes the highly-awaited rap video, which Vidya Balan has sung herself for the first time for her radio show with BIG FM. In the video of this rap song, the superstar can be seen rapping for the very first time and slaying with confidence. The show that went on-air on 25th March, airs every weekday evening from 7 PM to 9 PM, with repeats on Saturday and Sunday from 5 PM to 9 PM across HSMs. A special highlights segment named Muthoot Blue presents Dhun Badal ke Toh Dekho with Vidya Balan – SPOTLIGHT, will be aired across Monday to Friday between 01:00 PM to 02:00 PM.